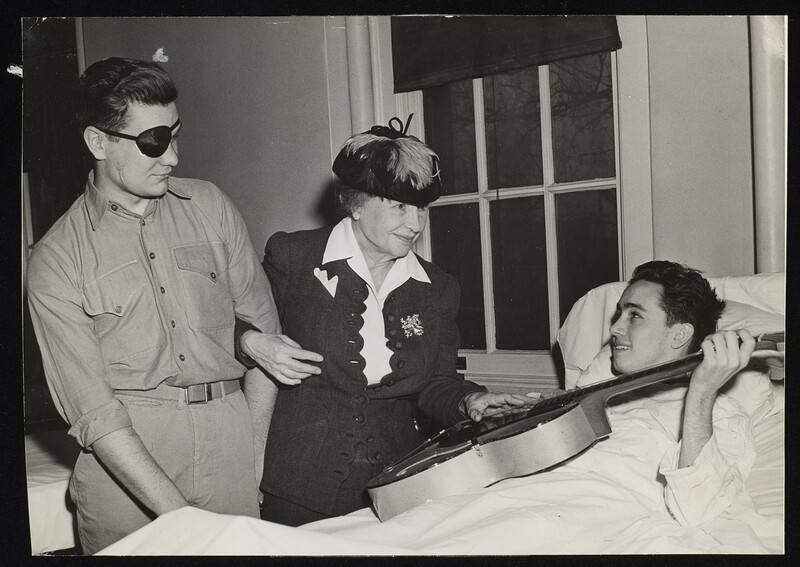 Helen Keller is standing by the bedside of a veteran who is holding a guitar. Another veteran, with an eye patch stands to Helen’s right. She has her right arm linked through his left, circa 1946. “Helen Keller on a visit to a WWII hospital,” USU Digital Exhibits, accessed April 20, 2019, http://exhibits.lib.usu.edu/items/show/18773.